Israel's ambassador to the EU says the participation of some of the body's lawmakers in next month's flotilla to Gaza is "political provocation." Ran Curiel, Israel's ambassador to the European Union, charged Tuesday in a news conference in Strasbourg that a new attempt to breach Israel's maritime blockade of Gaza is a "clear political provocation." Activists organizing the new convoy said earlier in the day at a news conference in Strasbourg that aboard the vessels will be European Union parliamentarians. 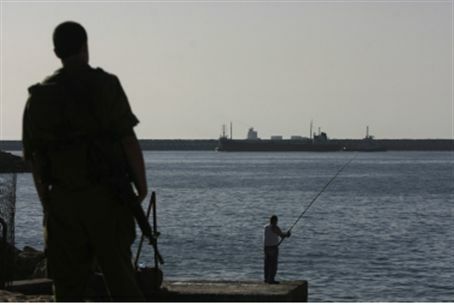 The organizers claimed the status of the lawmakers would "protect" the other activists aboard the vessels from IDF troops who might try to redirect or otherwise stop the ships from reaching Gaza. International aid organizations and Western governments have repeatedly told activists to bring their aid supplies to the region through approved land-based crossings. Curiel also pointed out that Israeli troops intercepted a German-owned ship in March that headed for Gaza carrying a cargo of weapons for Hamas terrorists. He warned activists that Israel would not allow the flotilla to threaten the Jewish State. "I cannot refer hypothetically to what the response of Isral will be," Curiel said. "What I can say is that Israel will do everything in order to protect its own citizens and it will do it within international law."